Jochen Rindt took a hold on the drivers' championship with his second successive win - and his third of the season - at the French Grand Prix. The victory was all the sweeter for Rindt as Clermont-Ferrand was a circuit he detested, claiming its twists and turns made him physically sick. He had even more reason to hate it after he was hit in the face by a stone during practice after opting for an open-face crash helmet in case he needed to vomit. Clermont-Ferrand was on borrowed time and there were moves afoot for the race to be moved elsewhere. Only desperate negotiating by local officials saved the grand prix from going to Albi. Jacky Ickx, one of the pre-race favourites, took pole with local favourite Jean-Pierre Beltoise second and Rindt back in sixth. But Ickx's early lead ended when his Ferrari, which had been troublesome all weekend, developed engine trouble on the 14th lap, and then Beltoise, who took the lead, suffered a puncture. 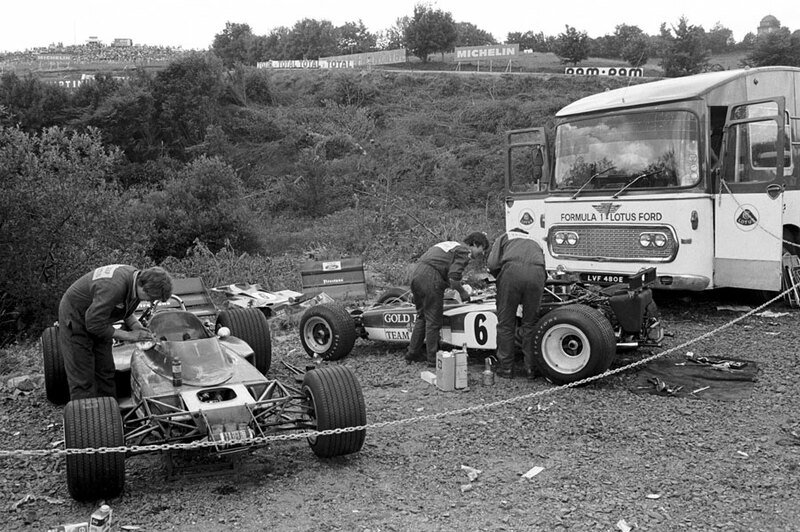 Championship leader Jackie Stewart was also in trouble, his March dogged by ignition problems. Chris Amon kept within striking distance of Rindt but was unable to mount a serious challenge, while Jack Brabham finished strongly to take third, setting a new lap record near the end. Denny Hulme came fourth despite being in considerable pain from hand and wrist burns sustained the previous month in a crash at Indianapolis.